I first began practicing yoga in 2003 when a friend invited me to attend a class with her. I was surprised at how immediately I felt a difference in my body and how being on the mat allowed me to get out of my head and into my spirit. 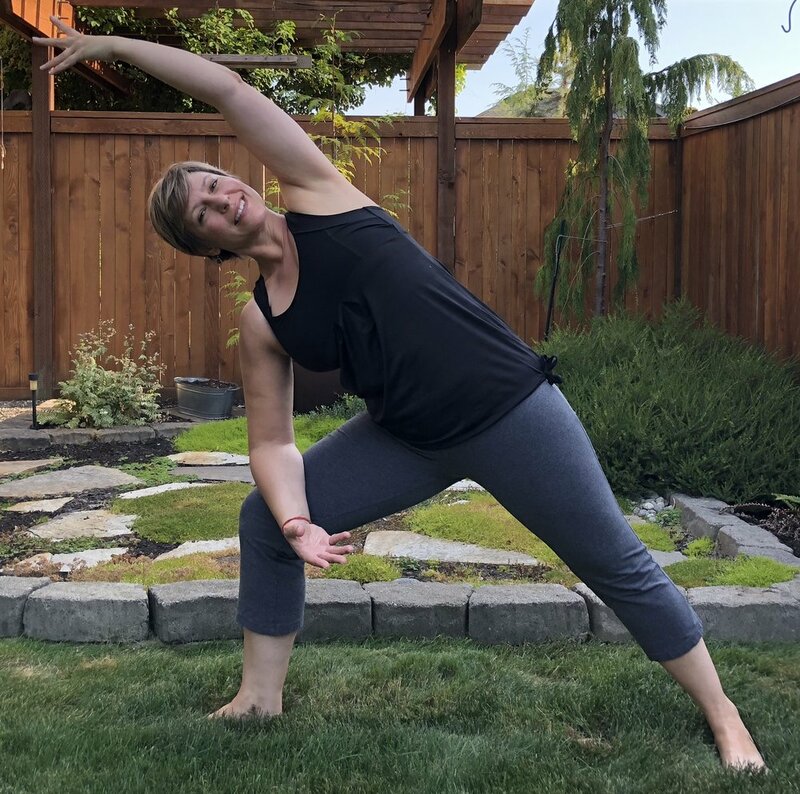 After practicing for many years, I wanted to deepen my own practice and be able to share my love of yoga with others through teaching. It was 2017 I enrolled in teacher training at Satyam Yoga School and completed my 200RYT in 2018. My teaching style is a mindful practice incorporating breath, flow, and a sense of calm along with joyful energy. My goal is to be inclusive of all, and that you have fun, feel good, and leave my classes with a feeling of energy and openness.